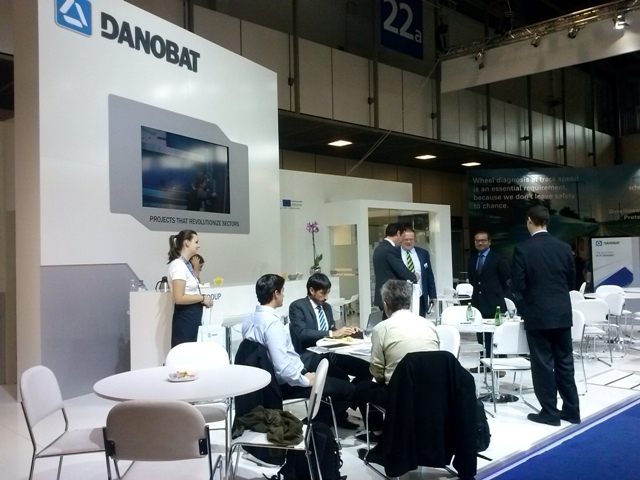 DANOBAT consolidates its position as a global leader in providing turnkey lines for the railway sector. Both companies are very enthusiastic about their business activity at INNOTRANS. GHH-BONATRANS India has awarded DANOBAT a contract to design, manufacture and supply of a turnkey line for the manufacturing of railway axles. It is a high added value project that is not merely limited to machines, but includes major engineering for the design, integration and commissioning of this facility. This project meets the growing demand for greater safety and comfort on passenger train. According to Xabier Alzaga ,Managing Director at DANOBAT Railway Business Unit, “this order confirms the success of the investment policy in R&D of DANOBAT over the recent years, which stands at 7% of its net sales, and supports the commitment of th company to take on high qualified staff”. DANOBAT Railwats business unit is specialized on turnkey solutions for maintenance and production of rolling stock components as well as manufacturing individual machines for machining those parts. Its long-standing international experience in supplying turnkey solutions for different industries all over the world proves that DANOBAT is the worldwide specialist for these kinds of high added value projects.